Do I have any Game of Throne (GOT) fans out there!? I, for one, am a huge fan and someone brilliant thought of a parody event called Game of Rhones so guess what, I had to be there! 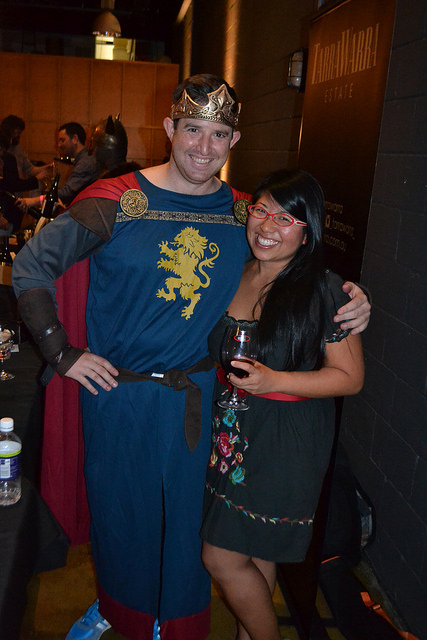 Thanks to Yelp Brisbane, Sara and I were able to experience it all including the wine dungeon. In short, it is a mainly red wine tasting with a GOT theme so a battle between the regions/producers has emerged and it is up to us, the wine tasters to choose the victor. We had started on the left side of the room and were later told that was wise as the room was set up in a U-shape. The lighter reds were on the left and as we curved around and headed to the Barossa Valley, the reds became a lot more full bodied and heavier. 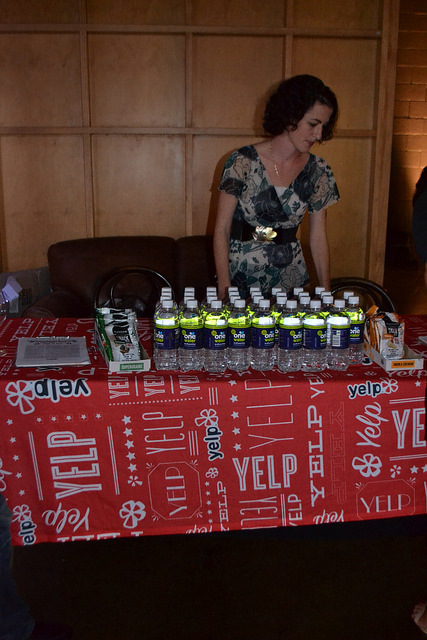 Everyone there was super friendly and I was happy to see so many Yelpers out. 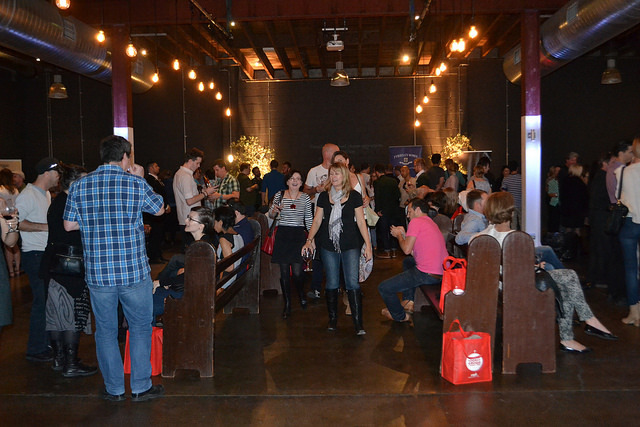 After checking and entering the tasting room, the Yelp Brisbane table was the first to greet us and they had red survival bags for the first in, best dressed. The bags were filled with water and snacks to keep all the guests going. I thought this was wise because the water was very inviting after so many wine sips. My favorite of the day, TarraWarra from the Yarra Valley! We had a great time chatting with the producers from the different regions in Australia. Between us, Sara and I have visited Hunter Valley, Adelaide Hills, Barossa Valley, Swan Valley, and the South Burnett Area here in Queensland. Barossa Valley referred to themselves as The True King of the Game! We loved trying out the new places we hadn’t yet visited such as TarraWarra Estate in the Yarra Valley. I really liked them because they brought out a “Snow” child with the Roussanne. It was the only white wine available for tasting. It was super refreshing and I always welcome a chilled glass. We also tried some wine from other parts of Victoria and the ACT too. I’ve become more and more of a Shiraz fan and enjoyed tasting the different varieties. Are you ready to hear more about the dungeon experience? The Red Woman would walk about the crowds and find ‘victims’ throughout the day. We had heard about the wine dungeon and wanted to experience it for ourselves. We were one of the last victims and I seriously felt like I had gained the tiniest insight into Theon Greyjoy’s tortured soul. We were blindfolded and brought into this room upstairs. The room felt dark and there were some steps so we had to be careful at the beginning. I accidentally forgot my glass and The Red Woman went and fetched it for me but not without first pushing me down on a couch. Soon after, while handing me my glass, she whispered, “I am NOT your slave. Do not make me fetch anything else for you.” We laughed but then she hit us with pillows so we stopped. She kept flicking a lighter and I could smell gas but couldn’t really feel the flame (thank goodness). Then, she dripped water on me and clanked a tin around my head. She was saying things but I am having trouble recalling much. I distinctly remember trying to find Sara’s hand but grabbing her purse instead! I’m sure she was also trying the same with me and ended up grabbing my leg! We wanted to be as close as possible and I am so thankful she had been there with me. After a bit more torturing, she asked us to hold out our glasses and taste this wine. I wonder what would have happened had I said “No.” We had to guess the variety, region, and year for a chance to win a set of Riedel wine glasses. Unfortunately, our guesses were not correct. Sara and I battling it out for the Light Space! All in all, the day was great and we took photos with The Red Woman and a few other characters before we left. Sara and I also battled it out over who would takeover the awesome venue, Light Space! There is always something going on in Brisbane and I am so so fortunate to experience some of them. 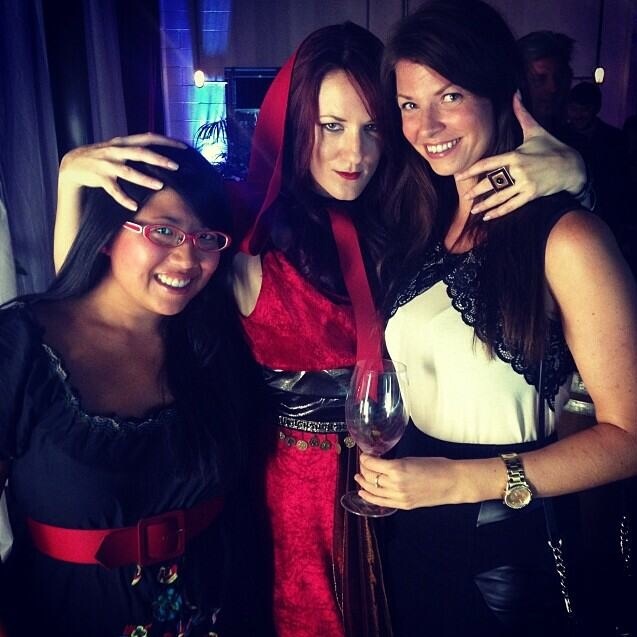 If you want to see more photos from Game of Rhones, feel free to click here!